Ordinarily, one would not expect to find enormous construction projects taking place during the years of the Great Depression when many banks had closed, scores of companies had gone bankrupt, and millions of people were out of work. Yet, there were indeed such ventures including the construction of the Hoover Dam, the Triborough Bridge, the Lincoln Tunnel, and the Golden Gate Bridge, to mention just a few. Some experts have opined that all this construction was necessary due to the growing impact of the automobile and made possible by the advances in engineering technology. Also given credit as well was the support from forward-looking and pro-active federal agencies such as the Bureau of Reclamation, President Herbert Hoover’s Reconstruction Finance Corporation, and the New Deal of the Roosevelt administration. 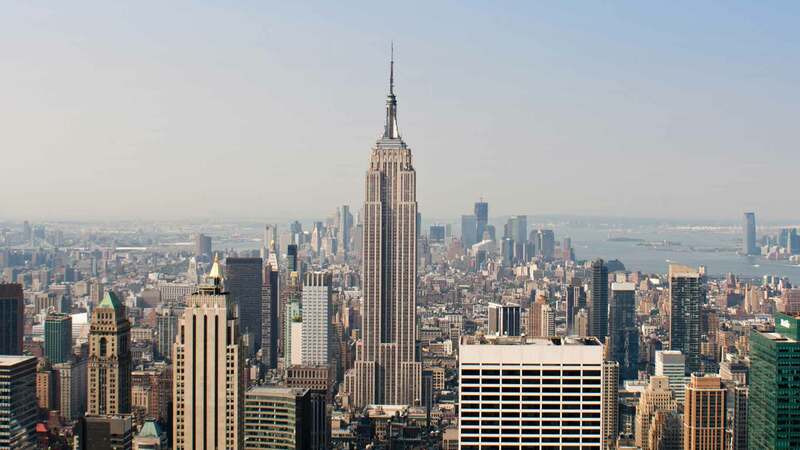 One such enterprise was begun in New York City on March 17, 1930 during a time when building taller and taller buildings had become quite trendy. It seems this growing desire to build skyscrapers developed into a competition of sorts between John J. Raskob, a former vice-president of General Motors and his arch-rival Walter Chrysler, founder of the Chrysler Automotive Corporation who was constructing the Chrysler Building. 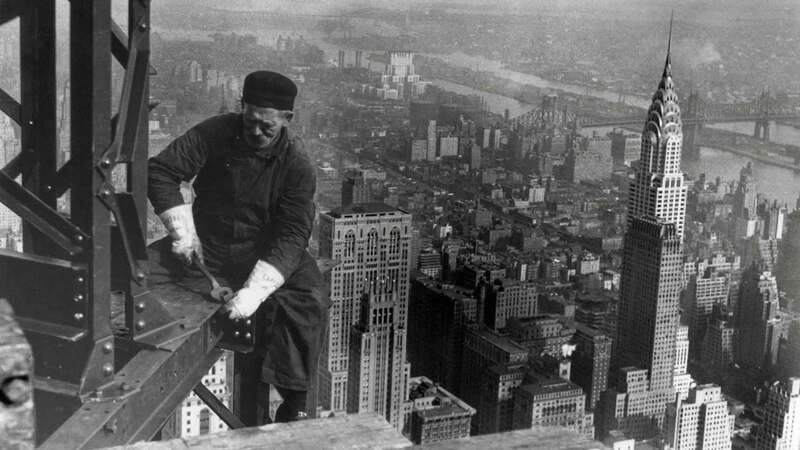 Although Chrysler was keeping the proposed height of his building a secret, Raskob was determined to start work on his own building which would be called the Empire State Building. And so, the race was on to see who could construct the tallest building in the world. Raskob had already acquired the parcel of land he wanted for $16 Million. It was located at 34th and Fifth Avenue. But there was one problem – on this site stood the luxurious Waldorf-Astoria Hotel. The previous owners sold the property with plans to build a new and better hotel on Park Avenue. Consequently, before work on the Empire State Building could commence, the hotel would have to be demolished. In fact, the public outcry for mementoes from the old hotel was so great that an auction was held to sell everything from the room keys to the windows and bricks. With the remains of the Waldorf now 15 miles off shore at the bottom of the Atlantic, and with the foundation in place, the work on erecting the steel girders began in March 1930. Drawing huge crowds of enthralled spectators each day, the skeleton of the Empire State Building soared towards the clouds at the incredible rate of four and a half floors a week. Finally, with 60,000 tons of framework completed, to celebrate the placing of the final girder the last rivet was ceremoniously inserted, one made of solid gold. The outside of the building is made primarily of concrete, Indiana limestone and granite. It contains 6,500 windows and was constructed with the same efficiency and attention to detail as was the steel framing. For the tourists to get a 360° view of the city below there is an outdoor observation deck on the 86th floor and on the 102nd floor an enclosed observatory. At the same time, the interior was also taking shape with Rose Famosa and Estrallante marble, as well as Hauteville and Rocheron marble for the lobbies and the corridors of the office floors. Every step and phase of the project was timed and coordinated exactly to plan to allow each of the some 60 different trades and the 3,500 employees to work together effectively. This synchronized logistics ultimately saved time, money, and manpower. Even a miniature railway system was built at the site with cars pushed by workers. The cars could hold up to eight times the amount of a wheelbarrow and could transport the materials from the storage area to any part of the building much quicker and more effectively. Ordinarily, the elevators would have to stop at every floor of a typical office building to let passengers on and off. But the Empire State Building was not a typical office building. Since the building was going to have 102 floors it would be impossible for the expected 15,000 employees to wait for hours to get to their floors. To solve this problem the architects divided the 63 passenger elevators into seven individual systems. Each elevator within a system serviced only a portion of the floors. System 3 elevators, for instance, would take passengers straight up to the 20th floor and let passengers on or off at a number of floors above the 20th, while system 5 elevators would travel directly to the 61st floor and provide service up to some other higher floor, etc. And since the Empire State Building was not your typical office building, the elevators were not the standard varieties either – they traveled at 1,200 feet per minute. In their race to construct the tallest building in the world, Walter Chrysler won the contest when the 1,046-foot Chrysler Building opened in May 1930. But that distinction would be short-lived. Four months later the partially completed Empire State Building took the title away when the 85th floor was added. Construction of the 1,250-foot Empire State Building was completed in April of 1931, three months ahead of schedule. And to the delight of all involved, the cost of this enormous building was well under budget. What was the cost? On May 1, 1931, President Herbert Hoover officially opened the building from the White House in Washington D.C. With the push of a button the building’s lights were turned on amid the cheers and celebration which only an engineering feat of this magnitude deserved. Since that time other buildings have soared to heights once thought impossible. Today, the record for the tallest skyscraper in the world belongs to the Taipei 101 in Taipei, Taiwan which stands at 1,650 feet. That record may not stand for long, however, because a skyscraper in Dubai is under construction which will be 160 stories and at a yet to be determined height. Nevertheless, while no longer the tallest skyscraper in the world, the Empire State Building still stands alone as an icon of New York City and will always be a symbol of an enormous engineering and architectural achievement.